Harmony 2 was a luxurious yacht privately owned by Pedley Marine. 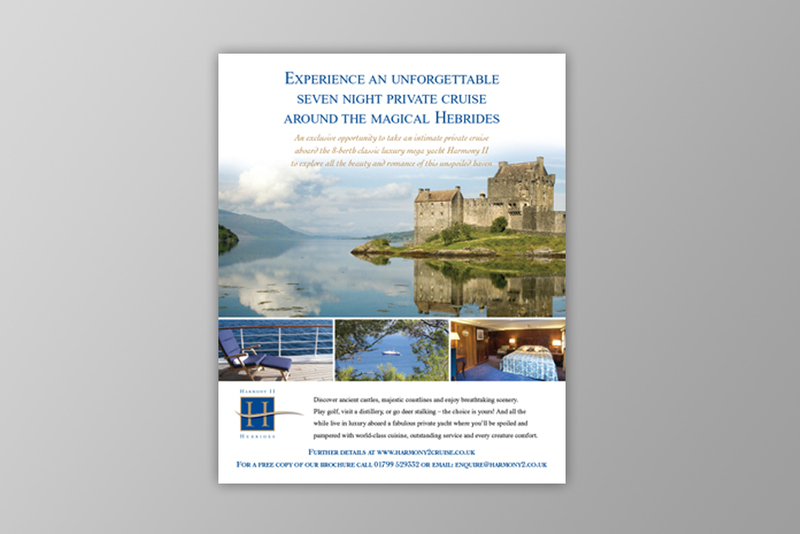 They hired this with crew corporately or to individuals who wanted to cruise around the Hebrides in an opulent way while soaking up the fantastic experiences of the voyage. Zest were briefed to create a brand identity for the yacht and a marketing campaign that reflected the luxurious nature of the cruise. 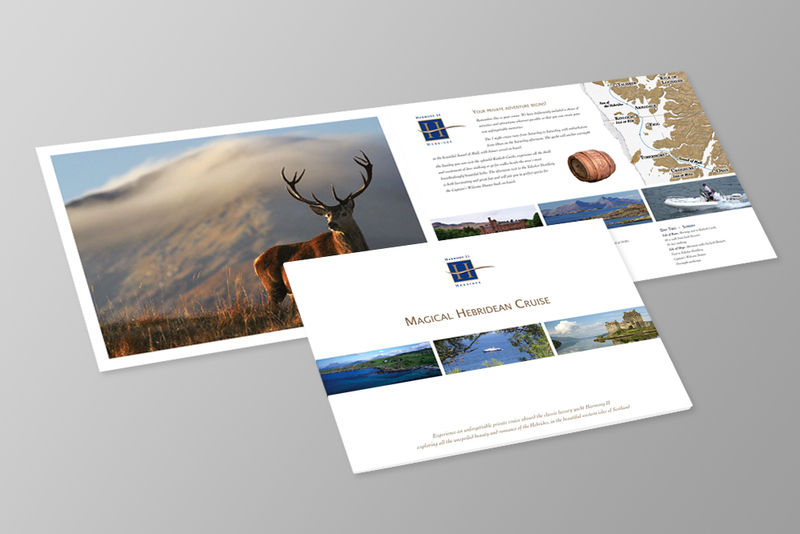 Key element of the campaign was a website and brochure. The brochure which was sent out to recipients in response to targeted advertising campaigns which ran in both traditional advertising media and directly through e media campaigns aimed at London’s affluent square mile.